We (the Russian Maoists) have been long enough ignoring quarrels waging in the world communist movement around the history of “peace talks” of the Peruvian Maoists with the Fujimori’s regime. However recently we have been directly faced with, firstly, rather rigid accusations of our fraternal organization in USA – Maoist Internationalist Movement – in this context and, secondly, request to stand on a precise position on this issue. Let here be a small introduction in first. 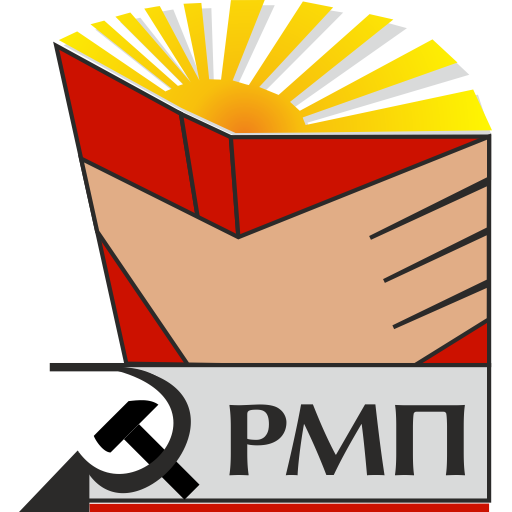 The Communist Party of Peru (PCP) aka Sendero Luminoso or Shining Path is a Maoist party waging guerrilla war since 1980. When in the early 1990’ies rather gentle APRA’s regime was replaced by the dictatorship of the butcher and the corrupted person Alberto Fujimori, the Maoists was exposed to the most severe prosecutions. In 1992 the founder and the leader of the Party, the Chairperson Gonzalo (Abimael Guzman) having huge authority with the Peruvian and world communist movement was seized. Soon after that the government published so-called “peace letters”, which firstly alleged about that it was Gonzalo who wrote it. There was rumours that the Maoists had agreed to negotiations with the government. But for all that Gonzalo wasn’t presented to public, independent journalists and human rights groups, so it isn’t known at all whether he is alive. Now the representatives of a reviving French Maoism maintaining the Web site Etoile rouge have said to us that “ MIM was accused to be a CIA group in the 1990’s by us maoists groups connected to support people’s war in Peru ” and “ MIM defends people that argue that they were peace talks with the peruvian government. This is the main point ”. Who was this people and where and when did MIM defended them – this isn’t talked by anybody for some unknown reason. Instead of this there was presented to us a document formulating charges against it: “ But you certainly [read] the text that exists on: http://www.blythe.org/peru-pcp/misc/polemics/mim_rev.htm. Others texts exist too, and go far in that direction. But this texte is the main political one and will be enough for us. The fact is that MIM position after Gonzalo was arrested was not correct, and helped the CIA. So we wish to know your position about the Communist of Peru and the RIM in general. This is a main political question for all the maoists ”. For a start I don’t consider in no way a position on Peru as the main question for all Maoists. 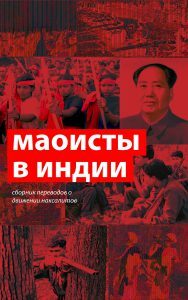 The Peruvian Maoism is beyond any reasonable doubt outstanding movement, but it isn’t unique: there are comparable Maoist practices in India, Nepal, Philippines and in same France or USA. Here in Russia the matter of principle undoubtedly is overcoming of the СPSU’s revisionist heritage. To expose a question about events in the single guerrilla movement (which we haven’t enough solid data on) as “ a main political question ” means to be in captivity of mythes and to go on a wrong way. I have impression that our western comrades have got cranky on the single particular issue. However for almost every in the West have been looped around Peru and the mountains of mutual charges have reached the sky, probably, it makes sense to look into the issue in more detail. I have taken the trouble to translate and read the specified text, and also texts of the opposite party (articles in MIM Theory 14, 2001). I make a reservation at once that the text on Blythe.org has seemed to me extremely unpersuasive, so that isn’t clear how it could even be accepted seriously by anybody. It just be gay with misrepresents. There are a plenty of distorted quotations. Assertions are attached with totally alien sense, Finally documentary base of all accusations is the weakest. For a start I’ll specify two basic points. It’s a complete nonsense! It’s well-known that Lenin, Stalin and Mao indeed started negotiations with a bourgeoisie when it was necessary to keep and advance revolution. I’ll list the brightest and classical examples: the Brest peace, pact of Molotov and Ribbentrop, СPC’s entering into Kuomintang! It was just Trotskiy who spoke against the Brest peace and his followers who spoke against the Soviet-German pact and the union with Kuomintang! So how is possible to assert that the recognition of an admissibility to start negotiations “ even with Devil ” (Lenin’s words) under the certain conditions is Trotskyism (although Lenin asserted this thesis against Trotskiy)?! The basic rejection of any negotiations with bourgeoisie under any conditions is the position of the “Left Communists” which was resolutely rejected by Marxist-Leninist. Such position is a leftist deviation and if MIM have really condemned it (according to сharges on Blythe.org) then it have been completely сorrect! Secondly, for some unknown reason it’s used to consider the Communist Party of Peru as absolutely monolithic and unanimously opposing peace talks. However such position directly contradicts the Maoism, which emphasizes that there always are internal struggles in any Communist Party, there always are separate groups or figures fallen into opportunism (for their evil intent or lack of knowledges). If MIM have mentioned somewhere that there could be forces speaking for peace talks in the Communist Party of Peru it haven’t been a crime against the Communist Party of Peru. It would be odd if such forces don’t exist at all. The myth about an absolutely monolithic Party is metaphysics instead of any Maoism. Thirdly and finally, groups working in imperialist centers for some unknown reason very confidently attend to judge what is good for the revolution in Peru. The author of the article on Blythe.org writes: “ MIM, ignoring actual objective conditions, suggests that it is incorrect to completely reject the farce prepared and applied by the CIA, through its puppet Fujimori government. ” Not to mention that there are no proofs that MIM “ suggests ” so through all the article, we can notice that the participation of the special services in peace talks isn’t the sufficient basis to reject it in any way. The special services are either way involved into any negotiations. Besides if the People’s war is really so victorious as the author asserts then peace talks can’t be a farce – the government is forced to enter into them under the pressure of progressive forces. However what we know about Peru suggests that the Communist Party of Peru was weakened in 1990’ies and is taking a revenge only now. In that case it’s ridiculous to shout that peace talks is a treachery. The determination of tactics is the cause of the Peruvian communists themselves. And having no precise messages from them on tactics chosen to run ahead and to speak about a single tactics allowable (knowing not local conditions thoroughly) is really to restrict freedom of maneuver of Maoists in the People’s war. However there was an indirect proof which was mentioned by MIM: if “peace letters” wouldn’t a forgery then the bloody tyrant Fujimori could allow Gonzalo’s meeting with independent journalists – and he necessarily would do it as it would be in his interests! However the author of the article on Blythe.org here accuses MIM, out of hand, that it have proved falsity of the trick with “peace letters” only but “on the contrary”, having assuming at first their authenticity what, on his idea, is an indelible sin. As I already have shown, assumption of a basic admissibility of peace talks under the specific conditions (which only Peruvian communists must to judge) don’t cast a shadow on them or anybody who makes such assumption anyway. However how it’s adgusted this recognition that, in MIM opinion, “ Gonzalo’s… continuing isolation proves that Fujimori is lying ”, with the assertion of the author that “ MIM agrees with the CIA’s and Fujimori’s plot, emphatically stating that President Gonzalo is calling for peace talks ”? In no way it does indeed! The author vaguely feels on his own that something is wrong here and tries clumsily to get rid from MIM proof of the falseness of “peace letters”: “ MIM forgets that reactionaries all over the world have been deceiving the masses for years ”. A pretty business this! How it follows from the fact that the reactionaries frequently resorts to a direct deceit that it’s a crime against Marxism to state the proofs of one concrete deceit?! Should Marxist beforehand consider any action of a bourgeoisie as a deceit and consider any attempt of a substantiation of an exposure of this deceit as a heresy? It is a malicious caricature on Marxism being actually originally scientific outlook. There are another example of far-fetching of phrases in the article on Blythe.org: “ For MIM, the PCP Central Committee is ultraleft! This is how MIM presents it: ‘ Further complicating matters in the International Communist Movement is an ultraleft line, nicely complementing right opportunism. According to the ultraleft, armed struggle is always the immediate task at hand, even in the imperialist countries… ’… There is no connection between the people who support the armed struggle in Peru and those ‘ ultraleftists ’ that MIM refers to so much… It is not true that those who support the People’s War-and the PCP-consider ‘ armed struggle as the immediate task at hand .’ ” But there are absolute no grounds to think that the MIM words concern to the PCP-CC or to the entire PCP or even to “ the people who support the armed struggle in Peru ”! MIM doesn’t assert anywhere that the PCP considers “ armed struggle as the immediate task at hand ”! The author simply invents a slander against the PCP and arbitrary alleges that the MIM words concern to it! It isn’t yet a complete review but I think the aforesaid is enough to understand that the article on Blythe.org doesn’t prove anything at all. However it’s necessary to note that the texts of El Diario Internacional reprinted by MIM Theory have the same declarative spirit. I have an impression that in the West the rationalistic position on an issue of Peru is considered as an extreme heresy. I would like say directly in the conclusion to the western comrades that their view on the Peruvian revolutionary movement as to the untouchable sanctuary isn’t clear to us (Russian Maoists) and requires any explanations.